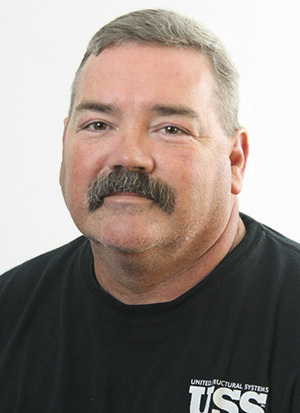 Karl Parshall is the Facilities & Equipment Manager for United Structural Systems, Inc. Prior to joining USS in 2014, Karl worked in restaurant management for 17 years and warehousing for 15 years. His favorite aspect of working for USS is the family atmosphere. Karl moved to Tennessee in 1983 and has lived in Pleasant View, TN since 1993. He and his wife have been married for over 30 years. Together, they have two children and three grandchildren. In his spare time, Karl enjoys camping, cooking and fishing.